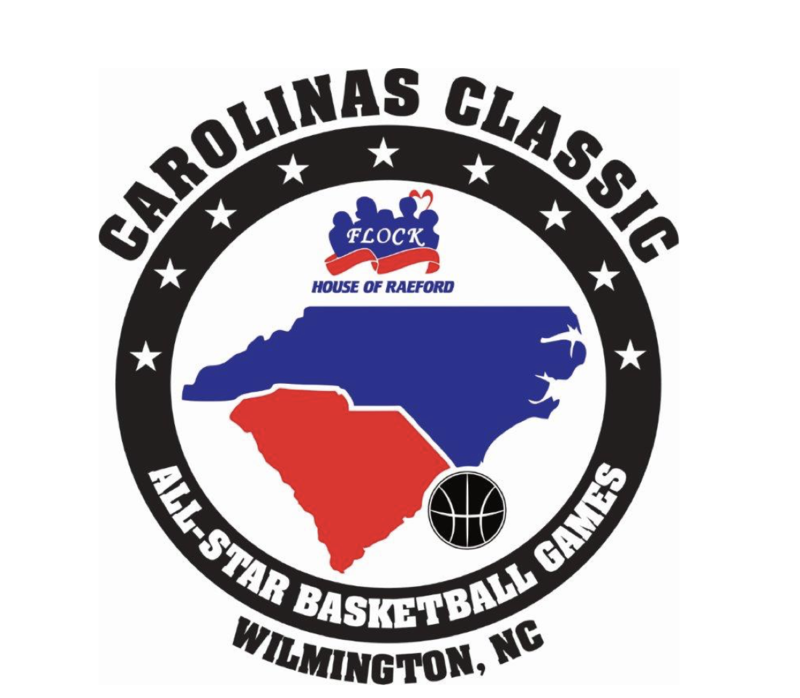 WILMINGTON, NC — March 14, 2018: In less than two weeks, the top senior high school boys and girls from North Carolina and South Carolina will face off in the 2018 Carolinas Classic All-Star Basketball Games, sponsored by House of Raeford Farms FLOCK, at John T. Hoggard High School in Wilmington. Six of the participating players are headed for the Atlantic Coast Conference (ACC) after graduation and have already committed to leading schools. ACC-committed players from the boys’ teams include Jarren McAllister, Hunter Tyson and Rechon “Leaky” Black, who have committed to Virginia Tech, Clemson University and the University of North Carolina at Chapel Hill (UNC), respectively. Top girls’ players include Elissa Cunane, Skylar Blackstock and D’asia Gregg, who have signed with North Carolina State University, Clemson University and Georgia Tech, respectively. “Attending these games is an opportunity to witness potential history in the making,” said Brett Queen, Vice President of the NC Coaches Association. “These student athletes represent the best our states have to offer the future of ACC basketball.” Queen has also served as the men’s basketball coach at John T. Hoggard High School for the past sixteen years. “Leaky” Black is considered to be a rising star who has stood out amongst his peers. The senior committed to UNC last fall and was nominated for the upcoming McDonald’s All-American Game. His performance in these games will serve as a precedent of what to expect from him as he begins his college career. The Carolinas Classic All-Star Basketball Games will take place on March 24, starting at 6:00 p.m. The games will not only showcase basketball talent, but will also give back to the community. All ticket proceeds will be donated to the New Hanover Regional Medical Center Foundation to support Betty H. Cameron Women’s & Children’s Hospital. Tickets to the games are available for purchase online and are $10 for adults and $5 for children and students.